Please follow this link for more information on the credit card swipers supported with Worldpay, along with setup information. Once you have completed the setup up of your terminal following the steps here, you can use the terminal by following these steps. 3.) On the payment screen, click "Take Payment" again, you should now see some activity on the terminal. 4.) It will give you the option to key in or swipe a card, pick your method and complete transaction. For information on what card reader to use please contact Stripe. You can find setup information by following the link below. All you need is the API key and Secret from Authorize.net, just head over to your settings page and put those in. You can find more details on how to set up your Authorize account here. You must have a "Card Present" account with Authorize.net, which is probably not the standard account type you may already have. We got one for testing it was only $20/month and a few pennies when you do more than 100 transactions. Once that is setup, and you check the box to 'enable authorize.net' in the settings, your payment form will default to credit card. 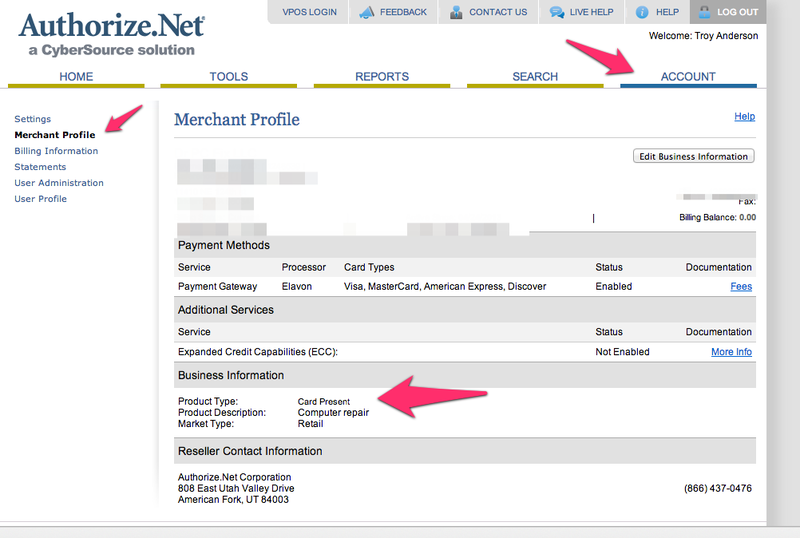 Swipe the card in your reader with the cursor in the credit card number field. If the light is green and nothing happens after you swipe the card, it's probably in "HID" mode instead of "KEYBOARD" mode - no problem!